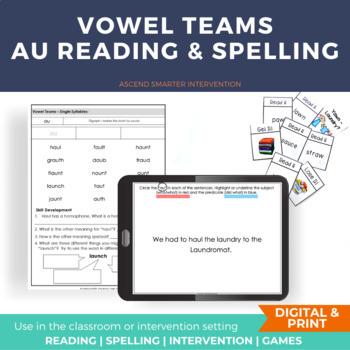 Activities, games, and worksheets to support introduction of au and aw vowel teams. 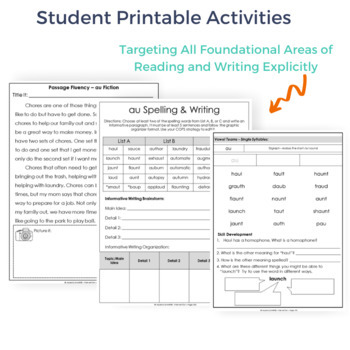 Great for Orton-Gillingham Instruction or Literacy Centers. 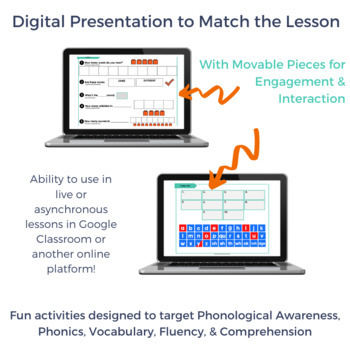 A fun game to help solidify the skills. 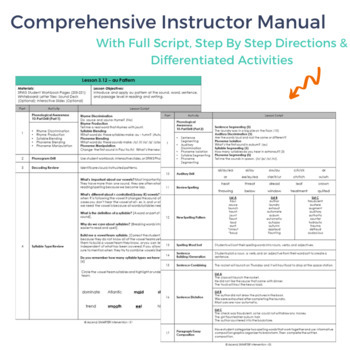 This resource includes activities for two 60-90 minute intervention sessions or five 30 minute Tier 2 intervention sessions plus review activities with differentiated activities for differing ability levels. To see how we put this all together consider joining us at SMARTER Intervention for our membership site or comprehensive curriculum or join us at our blog to get a new free resource every week!